This is an interesting piece of work that draws a narrative about place and wellbeing together from the literature, but does not interrogate the studies presented, and does not give a sense of why particular studies, or arguments, were dawn out. They note a general acceptance in the literature that ‘natural environments’/ ‘greenspace’ is good for wellbeing, but that “it appears that certain urban settings have a restoration potential that is equivalent to or greater than natural environments”. We need a deeper understanding of our wellbeing needs from place; clarity on the people-place bond not on components of place. The think-piece could usefully expand into a series of three (possibly four including a model) linked papers on wellbeing and place – the “three interconnected types of well-being: a) hedonic (Deci & Ryan, 2008), b) psychological (Huppert, 2009), and c) social wellbeing (Keyes, 1998) (psychological and social are two aspects of eudemonic well-being)” – to understand how place promotes and supports these outcomes. This will provide a sounder foundation from which to build a “MODEL TO DIRECT STUDIES ON URBAN FORM AND MENTAL WELL-BEING”. That model needs to be based on a greater understanding of ‘urban-form’ than that identified in the paper – “Larco’s (2016) sustainability framework for urban design”. The urban form topics identified are largely planning issues or concepts, and don’t define the human urban habitat in which wellbeing is measured. Any model must start with people and their environment, not an abstract management tool or system. The authors have identified extensive weaknesses and gaps in the literature around our understanding of the people-place bond. There is acknowledgement of the contradictions in the literature and the inherent dangers of people cherry picking what they want to hear. This paper is a beginning in the search for good bridging concepts to bring the siloed disciplines together, and an important initiator of discussions on this subject. Graham Marshall studied landscape architecture and urban design. He worked with several leading design firms in London, UK, before joining Liverpool Vision as Founding Director in 1999. He was responsible for the creation and successful delivery of the Liverpool City Centre Strategic Regeneration Framework, winning many awards for this work. 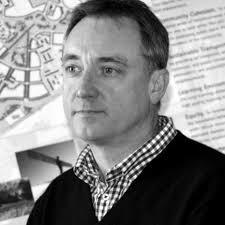 Establishing Maxim Urban Design in 2004, Graham returned his focus to towns and communities, acting primarily as a design advisor to public clients. At the same time, he was an Urban Design Advisor to the London Development Agency, and an active member of several regional Design Review Panels. He continues his pro bono enabling work as a Built Environment Expert with Design Council CABE. In 2013, Graham established the Prosocial Place Programme, partnering with researchers in Liverpool and Middlesex Universities to develop an integrated evidence base approach to urban planning, design, development and stewardship. He has transformed Maxim into a social enterprise, Prosocial Place, to implement this knowledge-based approach to urban design. He is a Visiting Senior Research Fellow at the University of Liverpool Institute of Psychology Health and Society.